We, at Negril Hills, welcome you to an outstanding Caribbean Golf Club. The topography of this course enables us to provide all our patrons with the challenge, natural beauty and excellence of hospitality, which characterize the great golf resorts of the world. This 18-hole par 72 course measuring 6,333 yards is distinguished by gently undulating fairways, elevated tees and greens, picturesque water hazards and lush tropical vegetation. A tennis court, pro shop, and our intimate club house with its full service restaurant and dining facilities compliments the ambiance of play and relaxation for golfers and non-golfers alike. Finally, our staff at Negril Hills has been carefully selected to ensure our commitment to total guest satisfaction. 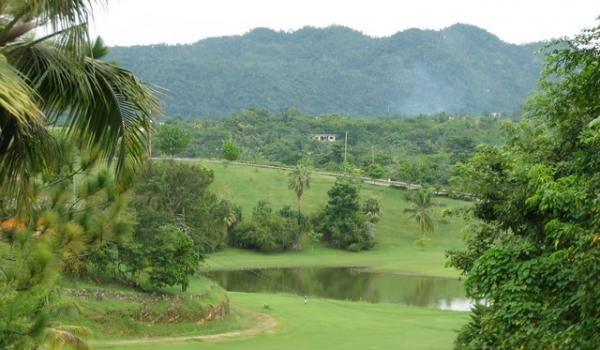 Negril Hills Golf Club, the weather is fine, the greens are lush, your clubs ready, let’s play some golf.